Tachikara's popular weighted training ball was created to specifically help setters build hand/finger strength through repetitions. 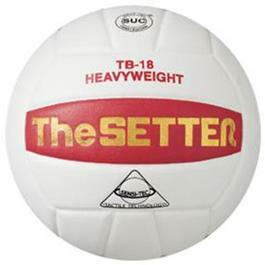 This "pound of volleyball" is a vital training aid for teams that are serious about improving their setting skills. Weight: 15.7 - 17.5 oz.